On the 18th August 1943 Gianni Rivera was born. That was followed exactly 9 years later by the arrival in the world of Ricky Villa. The 18th August 1984 saw the birth of Robert Huth. Then, on 18th August 2010, the world of football was introduced to a new arrival. The creativity of Rivera, the speed of thought of Villa and the aerial dom.... solid hard-hitting approach of Huth, A United View on Football displays few, if any, of those traits. It started with me ranting about poorly run clubs and the fact that Manchester City could exert such influence over the Championship, by subsidising the loan of a player to Cardiff that the Bluebird could not have afforded themselves. So that more than just me and my Dad have read it, I have linked back to it here. The fact that more than 70 posts later A United View has seen it's first birthday is thanks to the support of many people too numerous to mention. It is hard to single individuals out.........but I will. In the early days, my first few posts were being read by family and not even all of my friends. Thankfully, they were picked up on by 4 people in particular who started to support my prose with comments, retweets and encouragement; fellow Blade Karl Smout (@footysphere), football league sites (@TwoUnfortunates and @The72football - in particular Rob Langham and David Bevan) and Michael Hudson (@DolphinHotel) . The fact that these guys took an interest in what I was doing encouraged me to keep going. Keeping going led to the opening up of opportunities to engage and collaborate with a whole host of great football fans, writers and bloggers both on their sites, A United View and on the football pitch at Northern Leagues United. 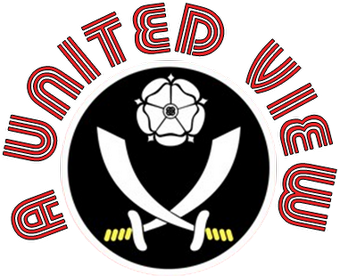 There has also been a significant amount of support from my fellow Blades, both on the @s24su forum and on Twitter #twitterblades, even though my content isn't exclusively Blades related. Thank you. Thank you to those who have been willing to contribute to my blog, be it a View From Opposite Ends piece, a quote for an article or the 12 writers/fans who have provided their Dislikable XI. Finally, I would like to thank my wife for her patience, especially when I am "on that bloody computer again, blogging or tweeting". Thankfully, the divorce papers haven't been served by tweet or comment on the blog..........yet. The world of football writing and blogging is an ever-expanding scene, with much great content "lost" and unread amidst a vast amount of retweets, facebook shares and google searches. Chris Oakley wrote a great article about it here. I don't have the niche that Chris refers to and neither am I wholly club specific. 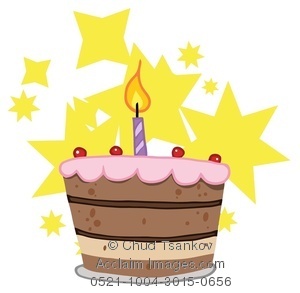 Whether A United View will still be here for its second birthday, who knows? As I write, I've had over 17,500 page views in the first twelve months, most of them in the last six months, and that is really encouraging. Any comments below about what you like/dislike about A United View might help me decide where it goes in its second year. For now, I thank you for your support and readership and, if I may, I'll point you to three of my favourite articles. Not necessarily the most read or the most commented upon. You can see those down the right hand side of the screen. Just three that I really enjoyed writing and I, personally, am most pleased with. Many congratulations on your first year. It seems like you've been writing a lot longer (that's a good thing, by the way). And hold off any divorce until after I've found time to write my Dislikable XI!